Trieste – the Centre of the Coffee Universe! No morning is complete for me now without a Capo in B’ and a mini-brioche con la crema at Eppinger’s. Julia at Eppinger’s does not even ask me what I would like. She sees us arrive and immediately the mini brioche appears. It is a flaky “croissant” crispy on the outside but with tender layers of pastry and oozing with a vanilla type custard filling. There are of course many different types of brioche, regular size and mini, with chocolate fillings, apricot marmalade fillings or vuoti – empty or without a filling. All arrive sitting like an amber gem on a white oval shaped plate. Everyone has one or few favorite caffe’- bars. 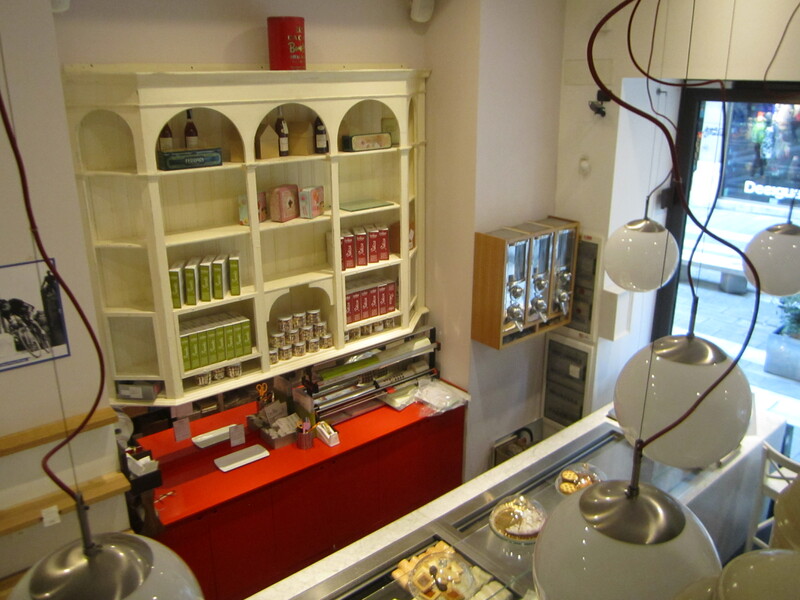 I keep saying with amazement – you cannot find a “bad” pasticerria in Trieste. Each one has their own take on the perfect brioche and all are delicious. And here’s another happy fact about Trieste; it has, probably, the best coffee in Italy. Trieste had its heyday at the time of the Austro-Hungarian Empire when it was given a tax-free status. Ships arrived from around the world to unload their goods bound for central Europe. These goods included coffees from around the world and its tax-free port status coincided with the coffee craze sweeping Europe. Trieste is still one of the largest importers of coffee in the world. As you drive along the waterfront road that takes you to Muggia the faint aroma of roasting coffee starts to drift into the car. It gets stronger, more aromatic as you pass by the long white buildings with red framed windows that are the headquarters of Illy coffee. Trieste even has it’s own vocabulary for the perfect cup of coffee. There is absolutely not even the most remote resemblance to those humungous drinks served up in roll-up the rim cups or those trendy sugary coffee drinks. NERO is the regular classic espresso, short and dark and served in a tiny porcelain cup and saucer. Also known as caffe normale! CAPO or CAPPUCCINO, even if for the rest of Italy and of the world it is served in a bigger cup, in Trieste is what everywhere else is called caffà macchiato. In other words an espresso with a hint of hot milk foam. CAPO IN B is the Triestine favorite and a capo served in glass. They are very strict about it. It is not just in a different container, but it has a slightly larger amount of milk in it. Only in Trieste can you ask for a capo in B’. 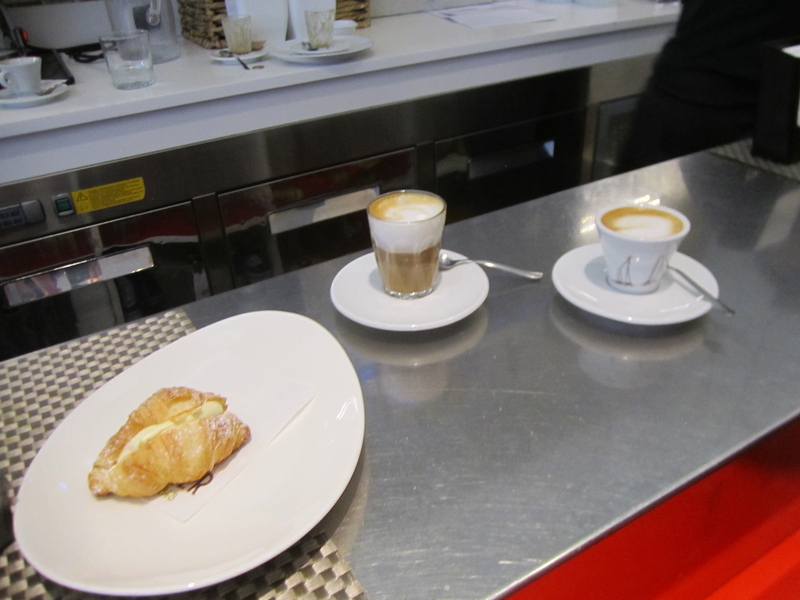 GOCCIATO o GOCCIA’ is a CAPO with just a drop of milk in the centre and with less foam… goccia means a drop. CAFFELATTE or CAPPUCCINO IN TAZZA GRANDE is what for the rest of the world is the regular cappuccino, an espresso in a bigger cup with foamed milk on top. 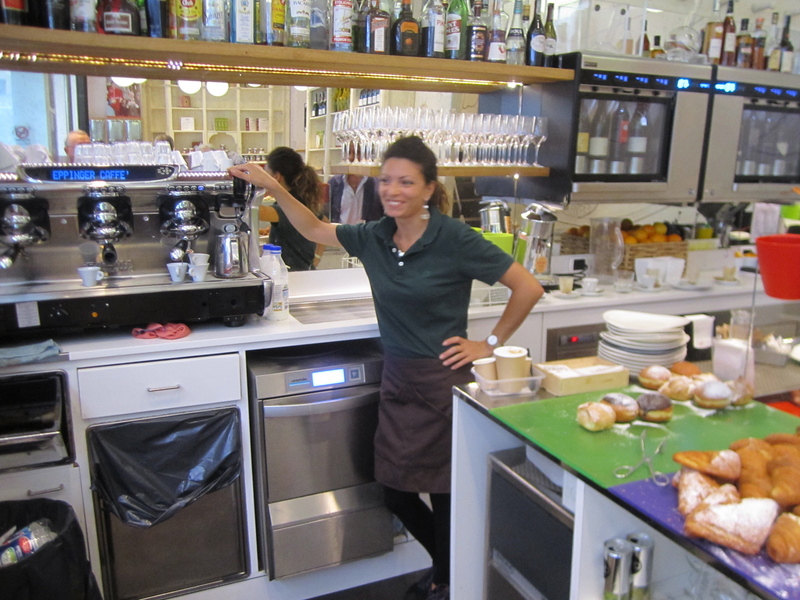 The baristas work at an incredibly quick pace to greet you warmly, ask you what you would like, serve up the coffees and brioche, clear the cups for the next person, load and unload the dishwashers, take payment and still chat with you while at the same time saying arrivederci to the people exiting. You can linger over your coffee, savoring the time while chatting with friends at the outdoor tables. Or you can stand at the “bar” and with only two or so swallows you have satisfyingly completed your morning caffe’ and brioche ritual. This is one more great article. It just makes me crave for a capuccino & brioche! !